1st Touch (www.1sttouch.com) the UK’s leading developer of mobile systems for the social housing sector has appointed Imran Ali as Senior Account Manager. In his new role he will be responsible for sales of Enterprise Mobile Workforce solutions including those for use by: Housing Officers, Responsive Repairs Operatives, Incomes Managers and Voids teams. He will also drive sales for Self-Service products and the recently introduced 1st Touch 360 range. 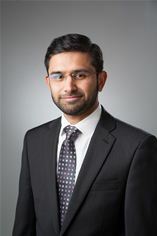 Previously, Imran held senior sales positions with Experian, Frog Education and Serco.